Workaholic is a person who is addicted to work. The term does not always imply that the person actually enjoys his work; it can imply that he simply feels compelled to do it. There is no generally accepted medical definition of such a condition, although some forms of stress, obsessive-compulsive personality disorder and obsessive-compulsive disorder can be work-related. Workaholism is not the same as working hard. Despite logging in an extraordinary amount of hours and sacrificing their health and loved ones for their jobs, workaholics are frequently ineffective employees. Clinical researcher Professor Bryan Robinson identifies two axes for workaholics: work initiation and work completion. He associates the behavior of procrastination with both “Savoring Workaholics? and “Attention-Deficit Workaholics” – those with high work initiation and low work completion, in contrast to “Bulimic” and “Relentless” workaholics – both of whom have high work completion. Workaholics feel the urge of being busy all the time, to the point that they often perform tasks that aren’t required or necessary for project completion. As a result, they tend to be inefficient workers, since they focus on being busy, instead of focusing on being productive. In addition, workaholics tend to be less effective than other workers because it’s difficult for them to be team players, they have trouble delegating or entrusting co-workers, or they take on so much that they aren’t as organized as others. Furthermore, workaholics often suffer sleep deprivation which results in impaired brain and cognitive function. Luckily, this topic can be significantly improved with hypnotherapy and clinical hypnosis. Check out this perfectly suited (and 100% Guaranteed!) 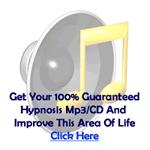 hypnotherapy mp3 just for this topic! 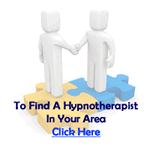 How Can Hypnotherapy Change Your Way of life? Hypnosis and Health offer you the latest news, reviews, insights and understandings on Hypnosis and Health from across the globe. Get the latest information here.